Edinburgh is known for historic sites, museums, nature, nightlife, and childrens museums. Your plan includes some of its best attractions: see the interesting displays at Royal Yacht Britannia, explore the striking landscape at Arthur's Seat, step into the grandiose world of Edinburgh Castle, and contemplate the long history of Palace of Holyroodhouse. To see photos, maps, and tourist information, go to the Edinburgh trip itinerary maker . Chennai (Madras), India to Edinburgh is an approximately 16-hour flight. You can also do a combination of flight and train. The time zone difference moving from India Standard Time to Greenwich Mean Time is minus 5 hours. Traveling from Chennai (Madras) in June, things will get colder in Edinburgh: highs are around 20°C and lows about 10°C. Cap off your sightseeing on the 18th (Mon) early enough to travel to Tokyo. Tokyo is known for historic sites, parks, shopping, museums, and nightlife. Your plan includes some of its best attractions: make a trip to Meiji Jingu Shrine, take in the spiritual surroundings of Senso-ji Temple, admire the natural beauty at Shinjuku Gyoen National Garden, and ponder the world of politics at Imperial Palace. To see reviews, more things to do, maps, and tourist information, go to the Tokyo trip planner . Traveling by flight from Edinburgh to Tokyo takes 18 hours. Alternatively, you can do a combination of train and flight; or do a combination of flight and train. Due to the time zone difference, you'll lose 9 hours traveling from Edinburgh to Tokyo. Prepare for a bit warmer weather when traveling from Edinburgh in June: high temperatures in Tokyo hover around 30°C and lows are around 22°C. Finish your sightseeing early on the 22nd (Fri) to allow enough time to take a train to Kyoto. Kyoto is known for historic sites, shopping, parks, classes, and museums. Your plan includes some of its best attractions: steep yourself in history at Fushimi Inari-taisha Shrine, explore the historical opulence of Nijo-jo Castle, take in the pleasant sights at Arashiyama, and take in the spiritual surroundings of Sanjusangendo Temple. Use Inspirock's suggestions to plan your Kyoto trip and find the best activities and attractions for your vacation. Traveling by train from Tokyo to Kyoto takes 3 hours. Alternatively, you can do a combination of flight and train; or drive. In June, daily temperatures in Kyoto can reach 32°C, while at night they dip to 22°C. Cap off your sightseeing on the 25th (Mon) early enough to catch the train to Himeji. On the 26th (Tue), make a trip to Shoshazan Engyoji, then admire the natural beauty at Kokoen Garden, then explore the historical opulence of Himeji Castle, and finally don't miss a visit to Otemae Street. To find traveler tips, where to stay, ratings, and other tourist information, read our Himeji trip itinerary site . Traveling by train from Kyoto to Himeji takes an hour. Alternatively, you can drive. When traveling from Kyoto in June, plan for slightly colder days and about the same nights in Himeji: temperatures range from 28°C by day to 24°C at night. Finish your sightseeing early on the 26th (Tue) so you can take a train to Hiroshima. 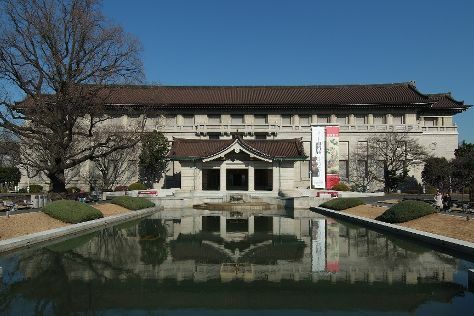 On the 27th (Wed), see the interesting displays at Hiroshima Peace Memorial Museum, don't miss a visit to Hiroshima Peace Memorial Park, then appreciate the history behind Atomic Bomb Dome, and finally step into the grandiose world of Hiroshima Castle. For reviews, more things to do, where to stay, and tourist information, go to the Hiroshima online trip itinerary maker . Traveling by train from Himeji to Hiroshima takes an hour. Alternatively, you can drive. In June in Hiroshima, expect temperatures between 30°C during the day and 23°C at night. Cap off your sightseeing on the 27th (Wed) early enough to travel to Chennai (Madras). Kick off your visit on the 28th (Thu): kick back and relax at Marina Beach, then make a trip to Indian Institute Of Technology, Madras, and then identify plant and animal life at The Madras Crocodile Bank Trust and Centre for Herpetology. On the 29th (Fri), you'll have a packed day of sightseeing: wander the streets of Fort St. George, enjoy the sand and surf at Besant Nagar Beach, then take in nature's colorful creations at The Theosophical Society, and finally get lost in a book at The Anna Centenary Library. To find where to stay, ratings, traveler tips, and tourist information, read our Chennai (Madras) route planner. Traveling by combination of train and flight from Hiroshima to Chennai (Madras) takes 14 hours. Alternatively, you can fly; or do a combination of ferry and flight. The time zone changes from Japan Standard Time (JST) to India Standard Time (IST), which is usually a -3 hour difference. Traveling from Hiroshima in June, things will get somewhat warmer in Chennai (Madras): highs are around 43°C and lows about 31°C. Wrap up your sightseeing on the 29th (Fri) to allow time to travel to Madurai. On the 30th (Sat), explore the striking landscape at Samanar Hills, then take in the spiritual surroundings of Sri Meenakshi Temple, and then pause for some serene contemplation at St. Mary's Cathedral Church. To see where to stay, other places to visit, more things to do, and tourist information, go to the Madurai itinerary maker tool . Fly from Chennai (Madras) to Madurai in 3 hours. Alternatively, you can drive; or take a train. Expect a daytime high around 40°C in June, and nighttime lows around 30°C. Finish up your sightseeing early on the 30th (Sat) so you can travel back home.